Sweater weather is in the air, the leaves are changing colors and it’s almost time for trick or treating. 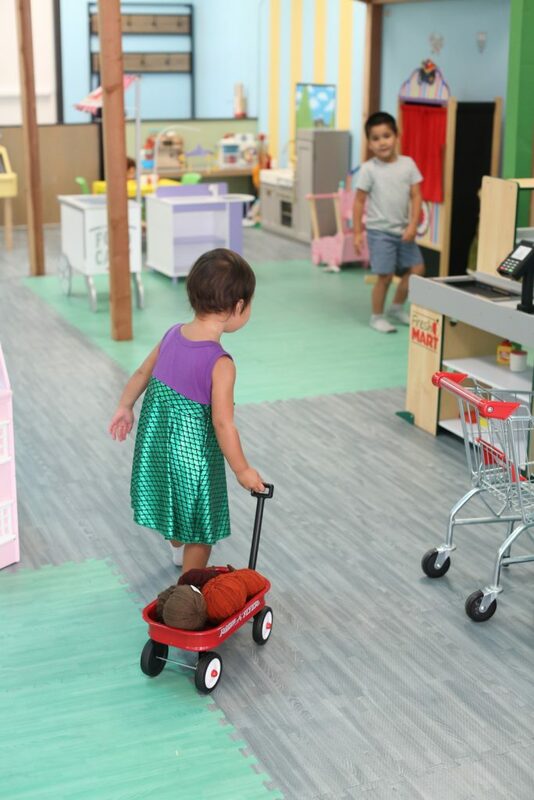 We know the kids love visiting the pumpkin patch this time of the year, so we brought the pumpkin patch indoors. 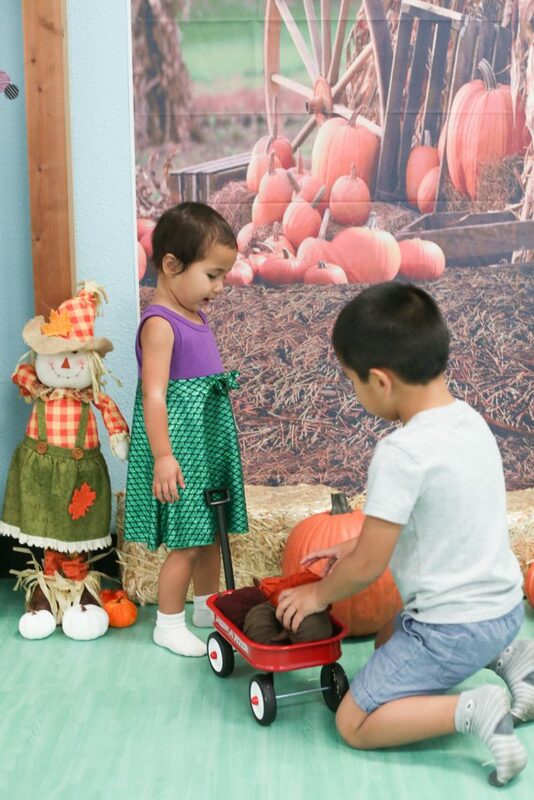 Your kids will love picking pumpkins in our pumpkin patch dramatic play area. 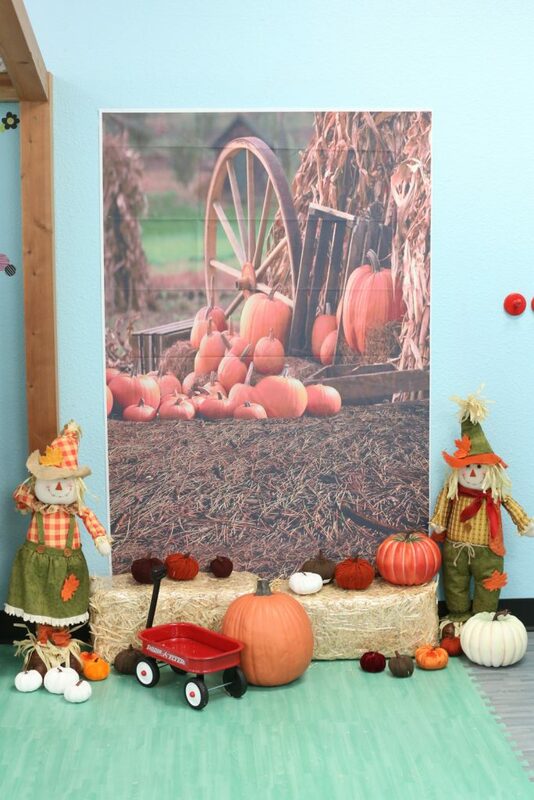 Our patch includes all different size pumpkins with some fun textured one for sensory. 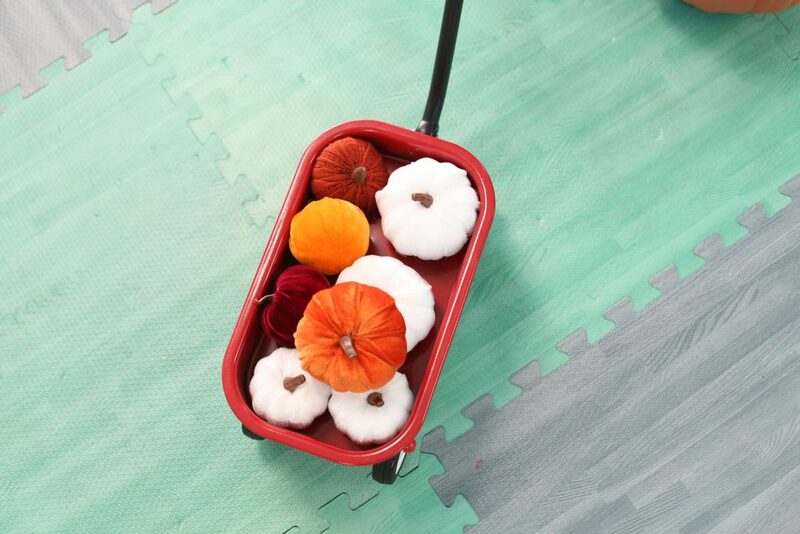 We especially love the stuffed pumpkins wrapped like a sweater. The kids can pick pumpkins and roll it around on a wagon. They can make friends with our scarecrows…. 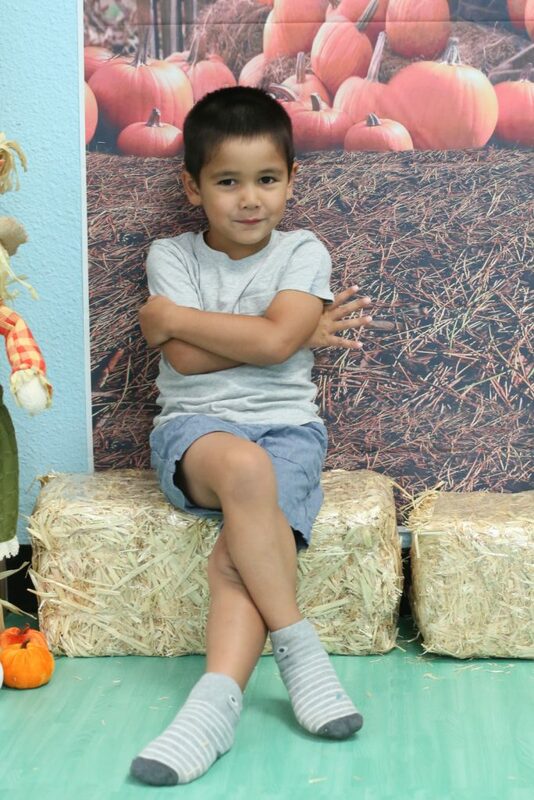 ….or relax on some hay bales. One of the things we love about the pumpkins is they are light enough for even the littlest of kids to carry. 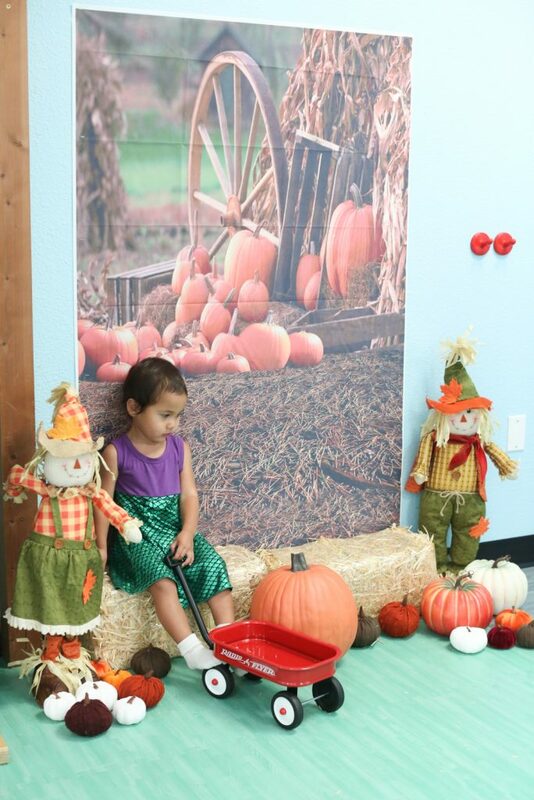 We can’t wait to see your kids enjoy our pumpkin patch in our pretend play area. 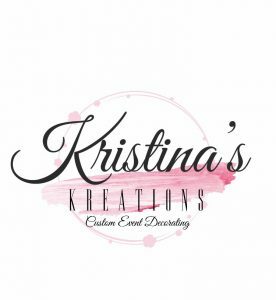 Come visit us for open play soon.